Step 1: To firstly make the sponge, pre-heat oven to 180C and grease and line a 20cm spring form cake tin. 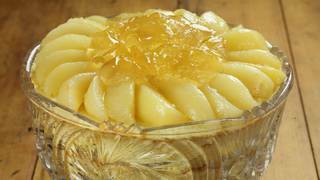 Step 2: Beat the eggs and sugar with a wire whisk in a stainless steel bowl over a pan of simmering water until thick. Remove from the heat and sift in the cornflour and half the flour. Fold into the egg mixture with a metal spoon. Pour in the melted butter and sift in the remaining flour and fold through until well combined. 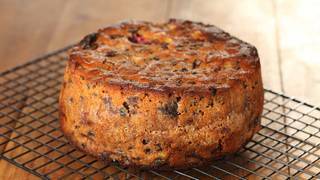 Step 3: Pour into the prepared cake tin and place into the preheated oven and bake for 25 to 30 minutes or until a skewer is inserted and comes out clean. Remove from the oven and allow to sit for 4 minutes before removing from the tin, then place onto a cooling rack and set aside. 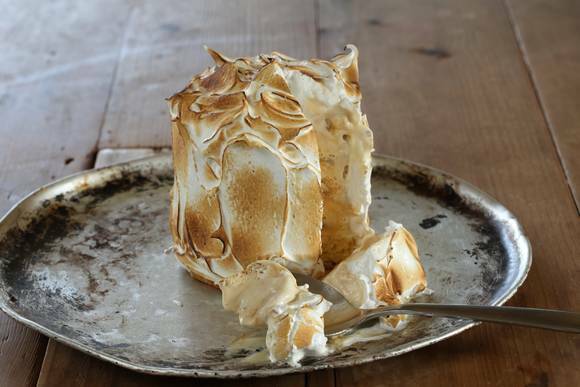 Step 4: To make the meringue, place the egg whites into an electric mixer with a wire whisk head and place on high. 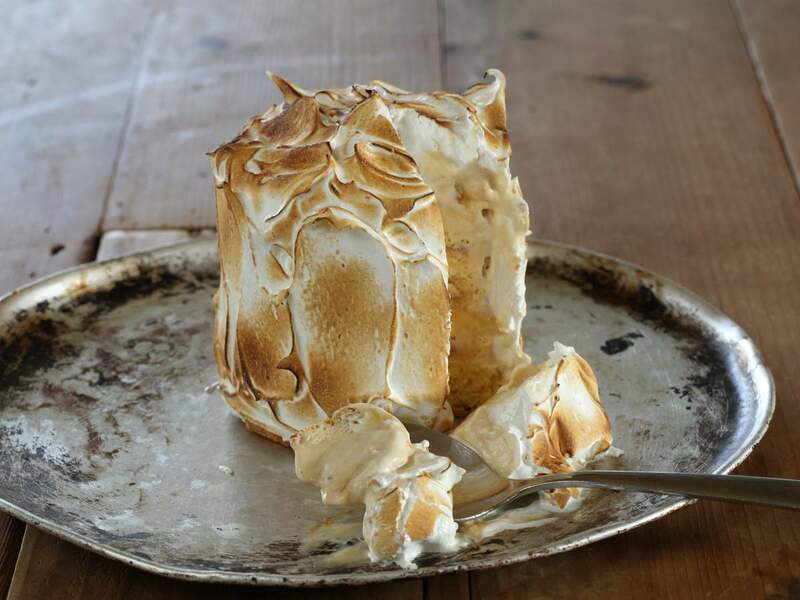 Once the whites start to come to a soft peak, start to add the sugar 1 tablespoon at a time, then continue to beat until the meringue is thick and glossy and all the sugar has been dissolved. Step 5: To assemble; cut a 9cm disc from the sponge and trim this to a approx height of 1cm (note you will have excess sponge left over which can be frozen down and used at a later date). Step 6: Remove the ice cream from the freezer and allow to sit for 4 to 5 minutes to slightly soften, so that it can come out of the tub in one piece. Step 7: Place the sponge disc into a plate and then place the ice cream on top of the sponge. 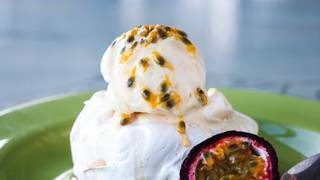 Using a palette knife, cover the ice cream and sponge with the meringue, then toast with a blow touch to give the burnish look. Step 8: Place into the freezer until ready to serve. 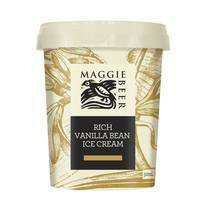 Tip: We've suggested Maggie's Rich Vanilla bean Ice Cream, but you can happily substitute your favourite flavour.